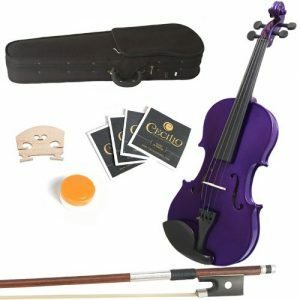 Choosing the best electric viola brand is a very important step in your music career. Taking your time to make a choice that is ideal for you is important because otherwise you are simply throwing away good money. A lot of people make the mistake of thinking that if they spend a lot of money there is no way they can go wrong in their choice but the reality is spending more money does not guarantee a better instrument. In some case’s spending less money can result in you winding up with a viola that is a perfect match for your skill level and deliver exactly what you hope to get out of it. 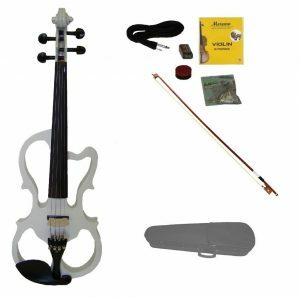 Ultimately the real goal when shopping for a n electric viola is to be exposed to as many quality brands as possible to narrow down the field a bit and help you to choose a trusted option. We took the liberty of doing the work for you and narrowed a very long list of violas down to the 10 best brands. We looked at a lot of different brands and worked hard to only suggest 10 of the top brands by setting up relatively strict criteria to adhere to during the reviews. A brand that has a positive reputation has had to work to earn that reputation by providing great customer care and offering quality products. We looked at what other users had to say to gauge the type of rating the company had in both their strengths and their weaknesses. Being able to look at what others users had to say did not really drive our final opinion about any one brand but it did help us to know what to look for in the viola that was either critiqued or talked about in the positive. Options and features also was something that we considered when we were whittling down the brands. Obviously we wanted to be able to give buyers the most bang for their buck. We listed the best brands below, they are not listed in any type of order, they are all an equally good option and they all can easily meet your needs. We like the Stagg brand because it offers a wide range of different options in different price points. We picked the Silent Viola Set with Case as a good representation of the commitment that Stagg puts into all of their instruments. 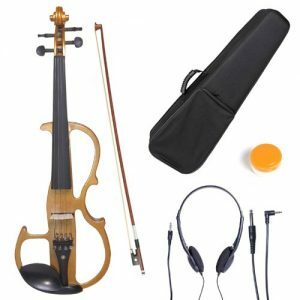 This S shaped viola offers 2 channel equalizer, easy to access jacks and a case. This is model is right above (cost wise) an “entry level” model. We felt it would be well worth the investment for a beginner or an intermediate player. Maestro may not be winning a great deal of awards for a top of the line type of viola but they certainly do offer a lot value for the money. Maestro is an excellent brand for most all beginners. They offer a great durable instrument that offers the features that you need to get started. They may be the very best option for beginners because the price point is right where you want it to be. 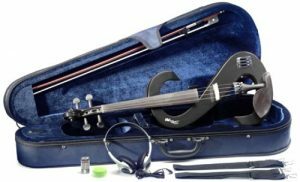 The NS Design Electric Viola is one of the more expensive options on our list but for the performer this is likely one of the best options. 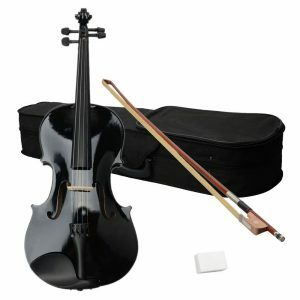 It is a high dollar viola that really has a great stage presence and that can absolutely enhance your skill level. It offers all the bells and whistles from its unique shape to its high tech shoulder rest. This is a brand that is associated with professional performers. 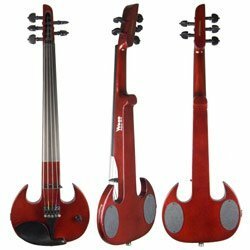 Mark Wood has crafted quite the reputation for himself as an Emmy Award Winning Electric Violin expert and it shows in his Red Stingray 5 String Electric Viola that comes complete with a free bow and case. Mr. Wood has done a stellar job of really paying attention to the details on all of his violins so it is not surprise that these wood electric violas are really stand out specimens. This particular model offers a nice finish, great features and is very lightweight. It would be a great option for both the intermediate player and advanced players and any player that wants to invest in their musical career. The price point is on the high side but not exceptionally high. 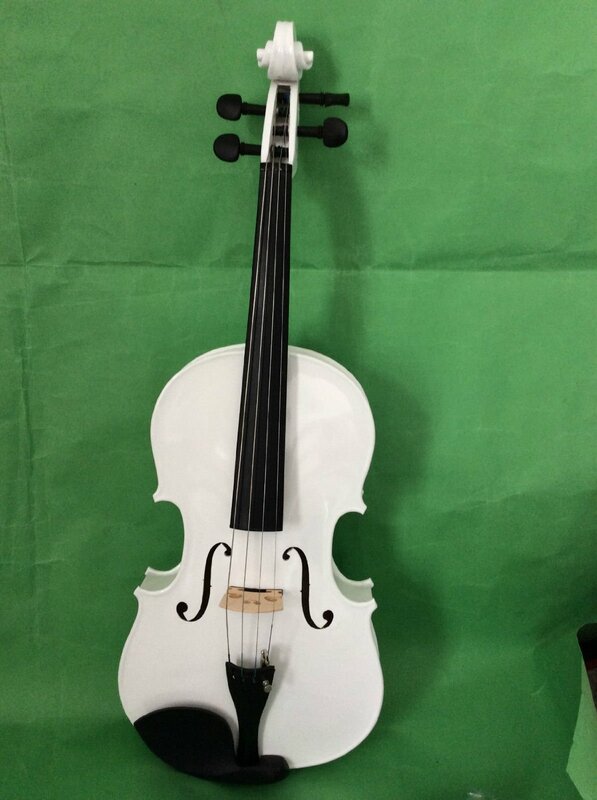 Merano has provided “school instruments” for a long time so it is no surprise that they were able to design an electric viola that came in nicely priced and ready for the student. The MVE10WT is an open design viola that offers the most wanted beginner features. Merano is a trusted name in the instrument world among teachers and students. They offer a nice range of options through-out their line for both price points and features. Mendini is also a reliable “student” brand. They offer low priced student instruments that are made well and that you can rely on for the beginning student. They are not the best choice for intermediate talent and absolutely likely would not work for the professional. If your budget is tight or you are not sure of the commitment level of the student than the Mendini model that we listed here would be a good option. This is a budget friendly brand. Yamaha is always a brand you can trust. They have been manufacturing instruments for a really long time and have always been considered an industry leader. They offer a wide range of price points and instruments that will can easily fit in with any skill level. This particular model that we have listed here would be great for any advanced to professional level. Of course Yamaha offers a full range to choose from that are less expensive and that can meet a host of needs. Cecilio is a trusted brand that offers a nice range of options including the model we have listed here. This would be a great student option or for anyone that is at the beginning level of their studies. The price point is great, the instrument is reliable and it is easy to manage for the beginner. 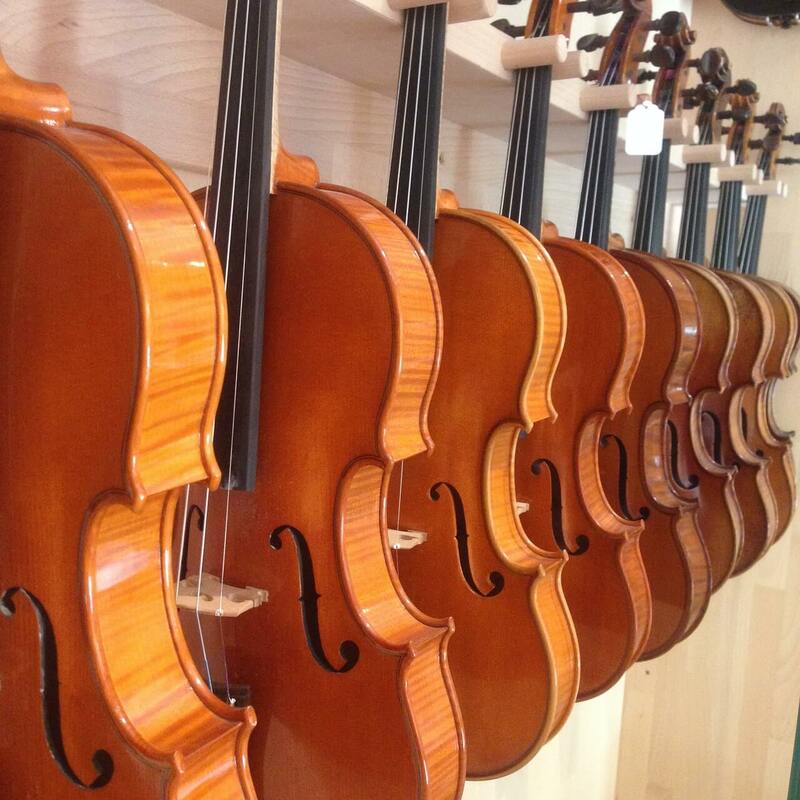 Roy is a little known manufacturer that offers well-made violas and other string instruments. They are reasonably priced and are a great option for any beginner. They offer hand crafted details that you do not usually find at this price point. This viola easily moves back and forth between being acoustic and electric with relative ease which makes it a really nice option for someone that is just getting their feet wet with an electric viola. This is not a well-known brand but it is a really inexpensive brand that can really help you to get your feet wet with this instrument. It is an ideal for any beginner especially any beginner that has a tight budget. It is a reliable brand that has a lot to offer. You can choose any one of these brands with a high degree of confidence. They all are reliable, they all have a great reputation for providing the type of instruments that can be depended upon. Of course the more skilled you are the more likely you are to be willing to spend a little more. The best brand for a beginner is the brand that is going to cost the least because as a beginner you really cannot predict your level of commitment down the road and you do not want to invest a large amount of money only to find that it was not something that you or your student stayed with. On the other end as a professional or an advanced player choosing the viola that you can work with on stage and be proud of is a very important consideration so you want to look at some of the brands that focus on stage presence and usability. This list is just a jumping off point for you. 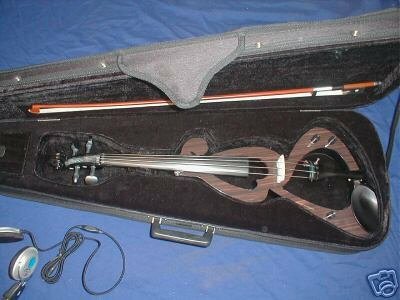 Choosing the best electric viola is a really personal choice. We put together this list so that you would not have to start from scratch to look for the brands that are most likely to offer you an option that you will be happy with. Being successful at playing the viola is just like being successful at playing any other instrument. It is part skill and part the instrument!